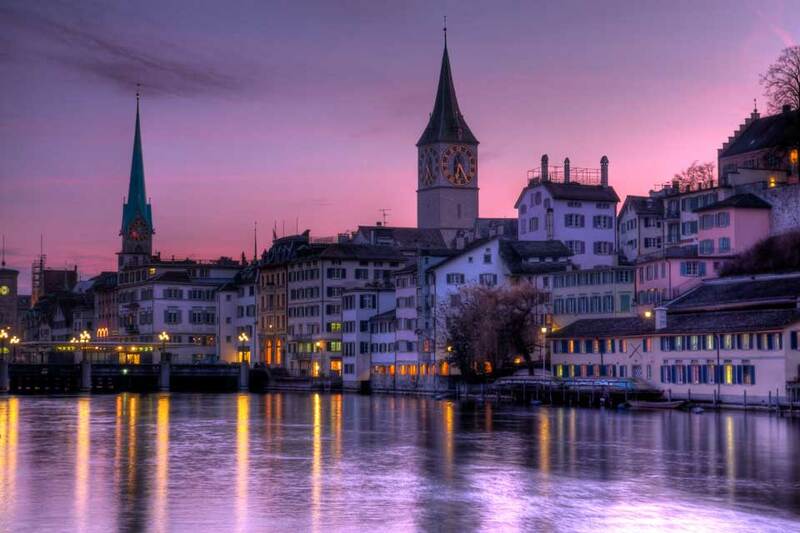 Zurich, Switzerland's largest city, is also the country's economic and cultural hub; but even with this super energy all around it is still one of the most elegant Swiss cities, with traditions that are preserved with diligence and much to attract the visitor’s eye. The town is embraced from the north and the west by the Lake Zurich and the river Limmat which flows out almost parametrically. 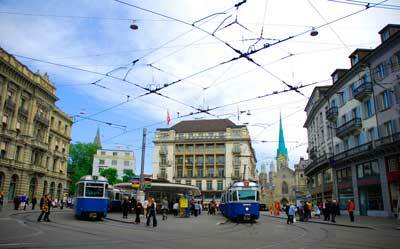 Three of the bank leaders of Switzerland have their base in Bahnhofstrasse, also known as the shopping paradise in Europe. Zurich attracts more than a million visitors per year and if you don’t just want to see it, but actually discover it, then stop searching around the internet and start from the most important your mean of transportation. If you are confused our website will clear your head with just a click at www.vanrental24.com the best and more affordable solution is in the palm of your hand and is no other than Minivan Rentals. Having a 12 seat minivan at your disposal makes things run smoothly first and top of the city’s highlights is the lake and a walk along the shores is a must, if you’re in Zurich, anytime of the year. Start from the best point which is no other than Bellevueand, wonder along the promenade towards Zürichhorn. After a few hundred meter a green oasis emerges with trees and a lawn that creates a green carpet between the lake and the street. Then the huge Blatterwiese follows also known as Chinawiese because the Chinese style gardens are one breath away it’s the ultimate sport for both sports and relaxation. There is also a playground which is a paradise for the young ones. Next stop is he Zürichhorn, a small delta with restaurants literally on the edge of the lake and later go straight to the railway station Tiefenbrunnen where you can hop on a tram (or train) back to Bellevue. For those you know they is nothing more compensating. You are filled with excitement and you have many more thing to see your van rental is so reliable and you know it all you have to do is enjoy the ride so stop wasting time. Thee more beautiful sights follow The Fraumünster with its magnificent colorful windows made of glass in the choir. It’s is the work of art of the world famous French artist Marc Chagall dated in the 1970s, or the windows by Augusto Giacometti. If you believe that Police Headquarters cannot be a work of art then think twice, in the entrance hall to the city’s police headquarters, Augusto Giacometti’s magnificent murals (1923 - 1925)are the leaving proof of its artistic mentality. Last but not least of this triplet are the two towers of the originally Romanesque Grossmünster, they are definitely considered as Zurich’s landmark and they also offer an amazing panoramic over Zurich, and a great challenge, for those who are claiming that they are actually fit let see if they can make it up the 187 narrow steps. One of the main reasons for choosing van rental apart from the comfort and easy access all over the city is that no matter if you are here for business or pleasure you can explore both the beauties inside the city and some idyllic spots a little bit further. The Uetliberg is Zurich’s own picturesque mountain, which draws naturally the end of the Albis, 869 meters tall is the small sibling of the Alps. There is a lookout tower on top bringing you to exactly 900 meters and offering breathtaking view over the city, the lake and on to the Alps. Those who visit Zurich for professional reason are people who must be treated specially in the sense that most of them are bankers, economists and brokers and they require everything to work like a good tuned clock. They don’t accept omissions and they wouldn’t ask for anything less than a 12 seat minivan, because for them time is money and every moment counts. For those demanding visitors we offer a spacious vehicle of high standards and quality,that combines both safety and all the amenities. To make a long story short van rental is their ideal mobile working place.